When I meditate on thee in the long watches of night, I am suffused with a warm glow of pleasure. 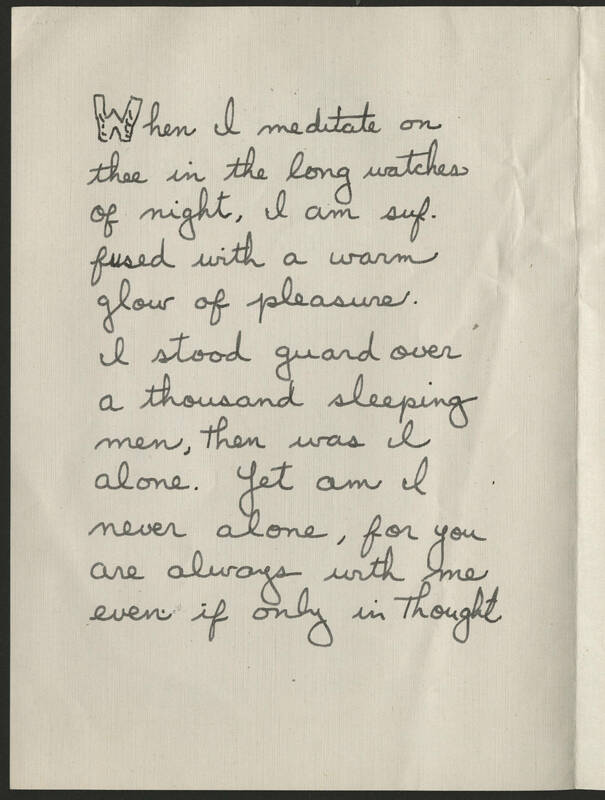 I stood guard over a thousand sleeping men, then was I alone. Yet am I never alone, for you are always with me even if only in thought.